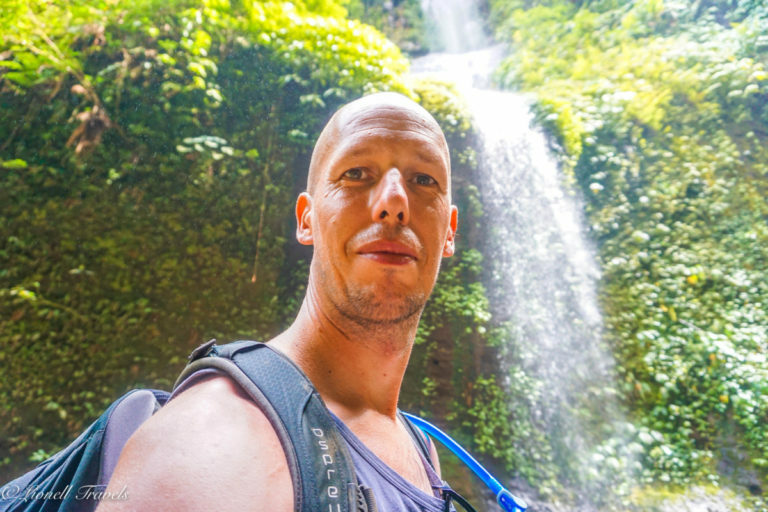 Bali, land of thousands of temples, volcanoes, pearl white and black sandy beaches, green rice terraces… This was my second visit to this beautiful island. Last year I celebrated my 40th birthday in style at the InterContinental hotel in Jimbaran Bay. 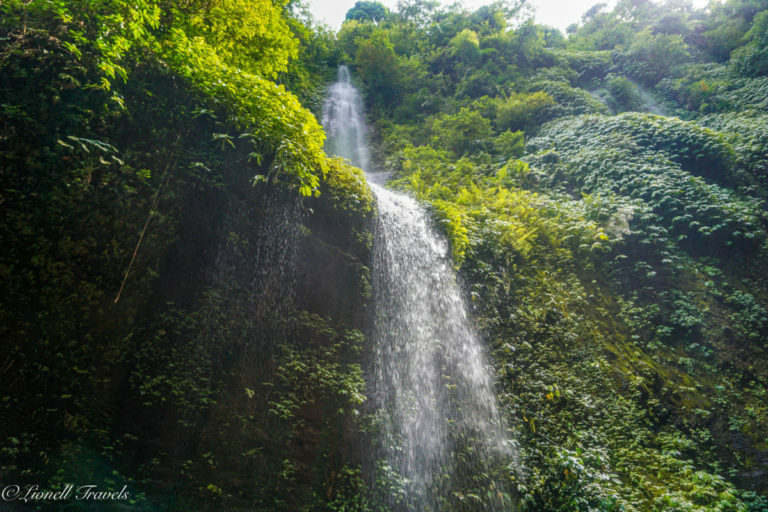 During this trip to Bali, we tried to avoid staying in the busy and crowded southern part of the island. 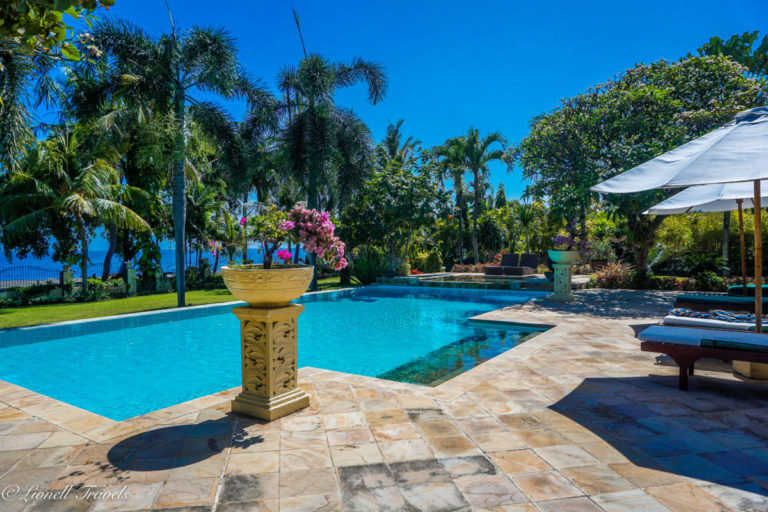 We wanted peace and quiet at the northern side of Bali. It’s less developed than the south, which shows as there are way fewer hotels. The only question is how long it will stay like this? As they are improving roads and for years there have been plans to build a new international airport. Before I even flew to Bali, I had already planned a visit to the city of Ubud in central Bali. I stayed with Stéphanie and Peter of TouristExclusive. Back then they had been living in Bali for over 5 months and were working as digital nomads. 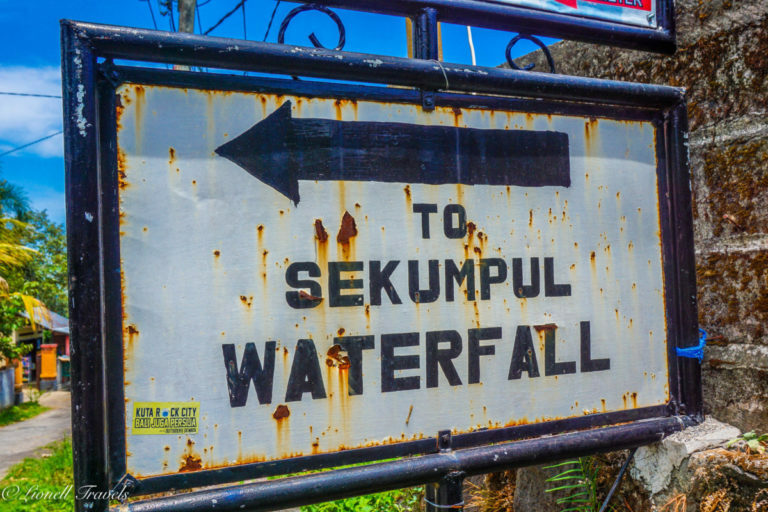 We started talking about local tour operators in Bali and I mentioned that I wanted to visit the Sekumpul waterfalls before I headed back to Europe. Then Stépahnie mentioned that she knew someone who would be able to help me out. That’s how I got in touch with Ali from The Trip Guru. I immediately had a look at their website and noticed that they offer plenty of trips! Everyone that has been to Bali, knows that there are hundreds, if not thousands of tour operators that organise trips. Prices vary so much it will make your head spin. Before I made a booking, I contacted them via e-mail and they were very quick to respond. We started an e-mail conversation and that’s how I found out about their very interesting concept. Imagine you are travelling in and around Bali all by yourself. You would love to visit a temple, hike through the jungle or visit a waterfall. Most tour operators require a minimum of 2 people for any booking made. This is where the Trip Guru comes into play. you can sign up as a solo traveller on their site and after that, you can just join a group. Why would you do this? Because it’s fun to meet other like-minded people and there’s a chance of a discount! Because the more people join a group, the better the price gets. This is why booking with the Trip Guru is so attractive. They foresee in the needs of solo-travellers or people that travel in smaller groups (2 – 3 people). I was open-minded and wouldn’t mind joining a bigger group. The only disadvantage I had, was that I was staying all the way up North of the island. Most group tours only have pickup points in the South. But, I was pleasantly surprised when Ali offered me a private tour at a very interesting rate. Thanks again for that! Making the online booking was very easy! 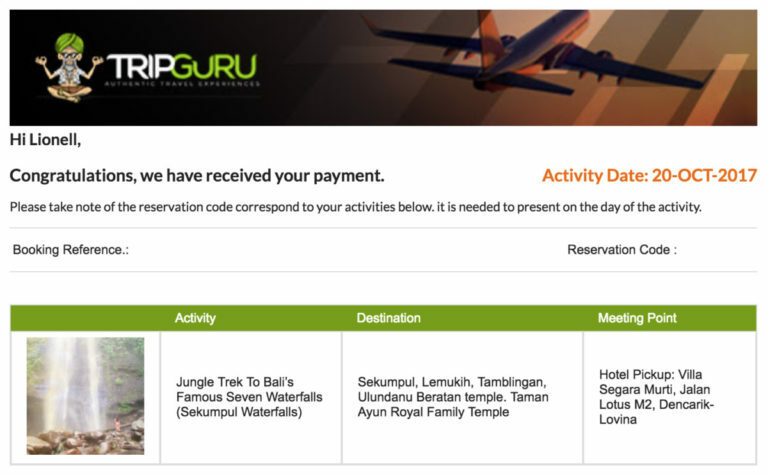 The online booking system was very easy to use and it only took minutes to receive the booking confirmation. Shortly after that, I was contacted by the people who would pick me up the next day. Ketut informed me that Wayan (the driver) would pick me up at 8 am at the villa. Wayan arrived a bit earlier than agreed, but I’m always up early anyway so I didn’t mind. He was a man with a big smile on his face and definitely in a great mood! That’s how everyone should start their day, there is no point in being grumpy. 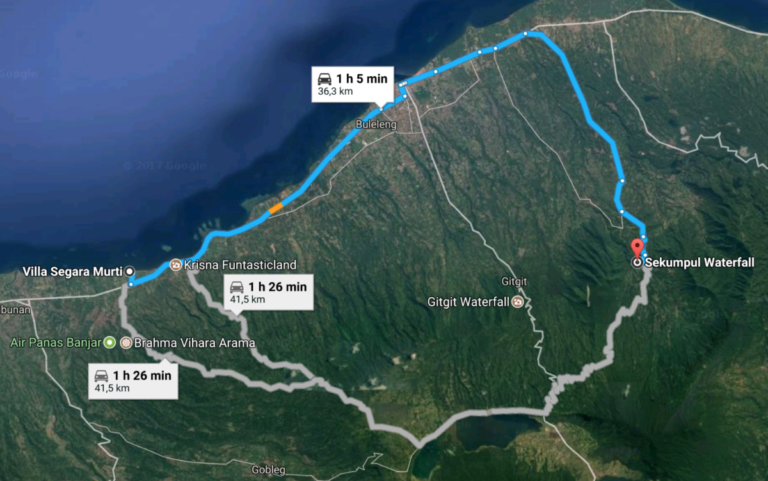 I had looked at the map and the distance to Sekumpul was only 36km, but this is Bali… roads aren’t great everywhere, so it will take a while. When we were almost there, Wayan made a quick call to Budi. 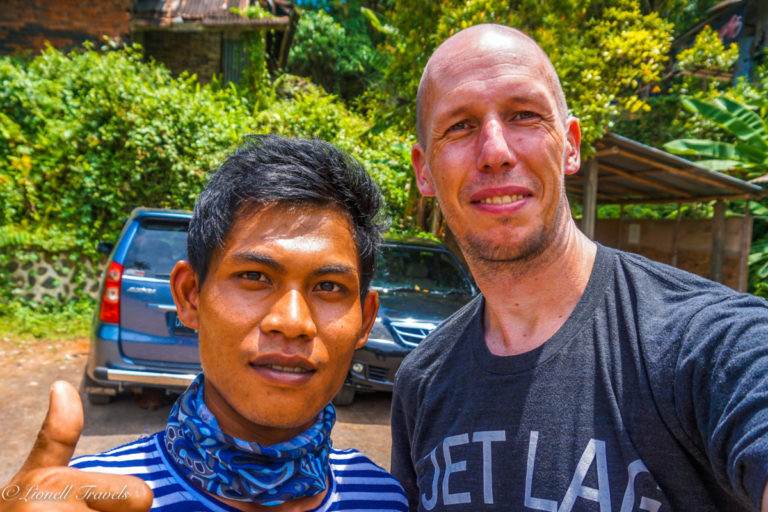 He was the guide that would show me around the waterfalls of Sekumpul. He was already waiting in the parking lot. Even though it was early morning, the sun was already high up in the sky. Any part of my body that was covered by clothing, was now covered with sunscreen (SPF 50). At first, I had my trail shoes on, but Budi advised to leave those in the car and put on my flip-flops. When I asked him why he replied that we needed to cross two rivers. Yaay, fun times ahead! After about half an hour of walking, we arrived at the bottom of the valley… Except for the sounds of several waterfalls, you couldn’t hear anything else. No other people to be seen either! I was loving it, being in such a beautiful place without being surrounded by hundreds of tourists. I knew I had made the right decision to go with the Trip Guru. This was such an amazing place! 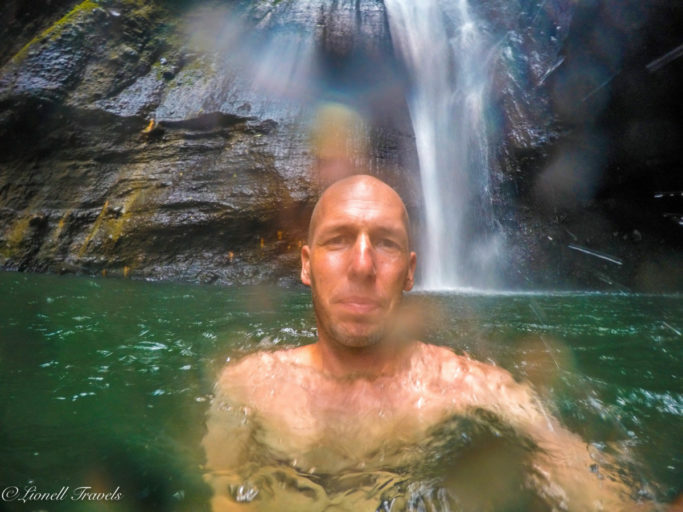 Make sure to bring your swim clothing because there is the possibility to take a swim at the bottom of several of the waterfalls. Just beware, the water can be VERY cold! I was like: screw this, I’m here now and I want to do this! I was in halfway already so decided to take a plunge! 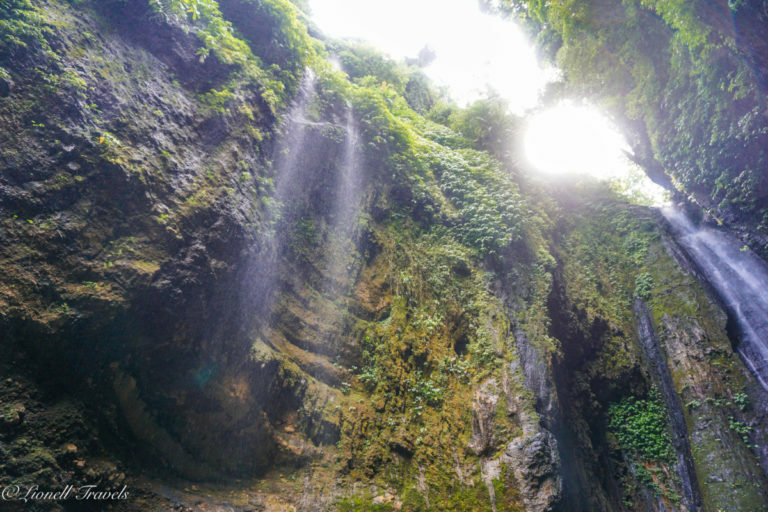 Nowadays when friends or family or people I met online ask me for tips about Bali, I recommend The Trip Guru for excursions. The people that run it, Francesco and Ali, are very relaxed and easy to communicate with. Prices for group bookings can be very interesting. And joining group trips gives you the opportunity to meet cool people. Oh and don’t forget the local people you get to meet. They are so friendly and especially proud of their beautiful island, so they’ll be happy to show you around. Bali will always have a place in my heart and I’m actually looking forward to returning again soon! Wow! Those waterfalls look amazing!! Yes it’s a great place to visit, definitely worth the drive up there!